I bought these in preparation for my little one's arrival. Pros: These mittens are well-made, soft, and great for protecting a newborn from scratching his/her face. The elastic is just right for staying on the baby's hands without cutting off circulation. Cons: The mittens were roomy brand new, but shrunk quite a bit after the first wash/dry. They fit my son (born at 8lbs3oz, 21 in) for the first couple weeks, but then were too short to continue to use - he could not fully open his hands/extend his fingers in them. My son is a bit larger/longer than the average newborn, but I think a size 0-3 mo should have fit him at least through 3 weeks. 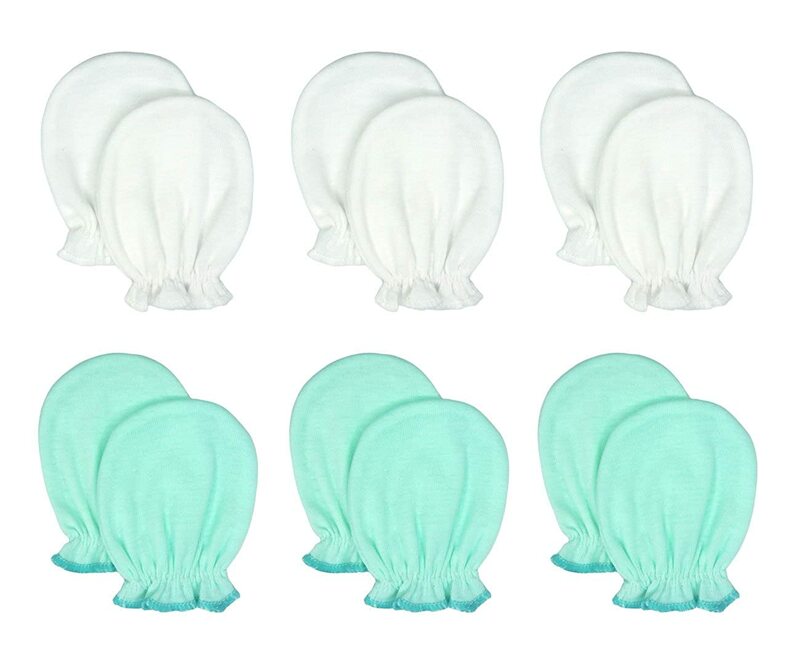 Overall, I think these are very nice mittens that should fit an average/small newborn throughout the face scratching stage; another brand may be better for larger babies. Got this for a friend's baby shower and am very pleased. The product came packaged with three mittens. All items are in high quality. 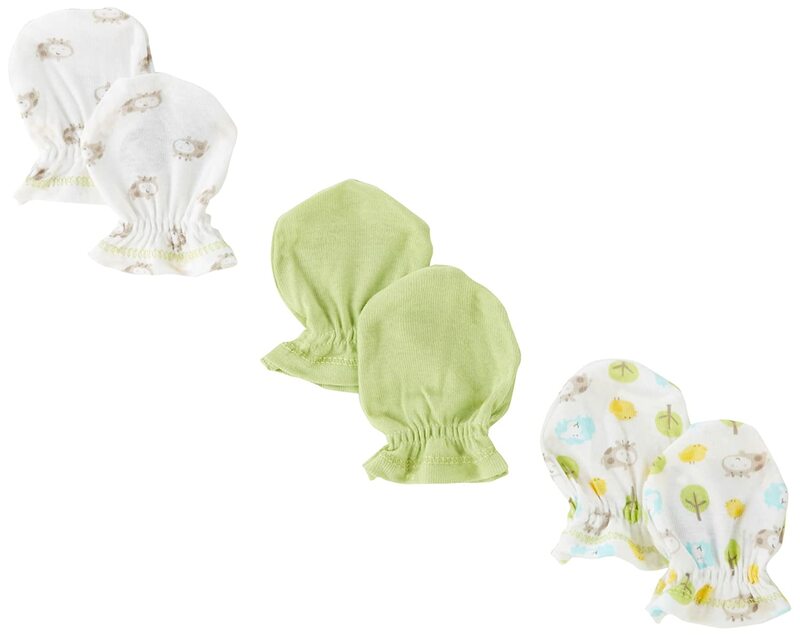 I didn't see any of them in hippos, which was the main reason I purchased them - however, she will still be able to used these to protect her baby's face from being scratched when her nails get too long. I would highly recommend this product! 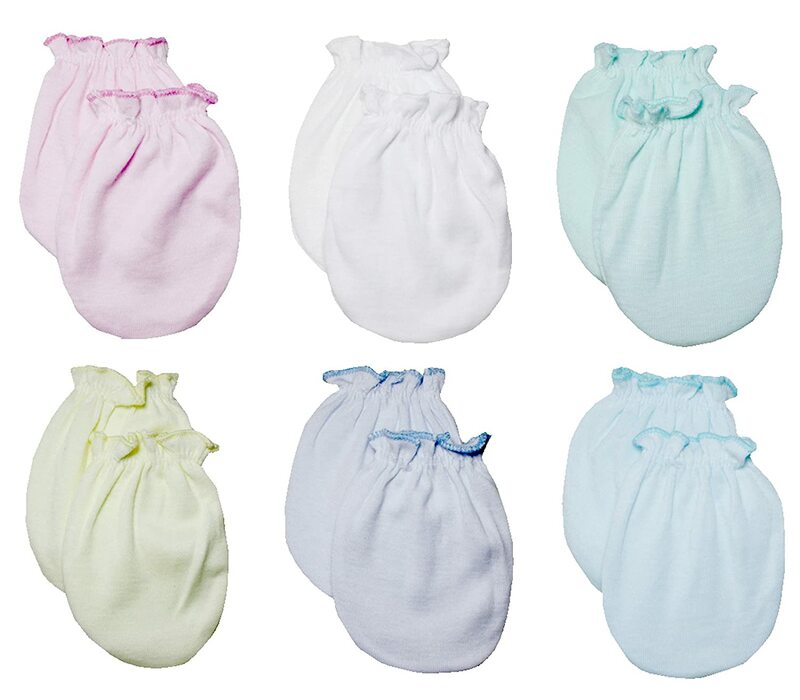 My infant was constantly scratching me and himself, so I ordered these online. There doesn't seem to be a lot of options for infant mittens for some reason. It was a waste because the quality was quite flimsy and did not stay on my infant son's hands. Not just that, the mittens were almost too small - to the point that my son's hands needed to be clenched in a fist in order to fit. Save your money and just put socks on their hands. I don't know why but these mittens are a little bit larger than all the other Gerber mittens I have purchased in stores. Please do not take this as a complaint though, because I actually appreciate these more than the smaller ones. My 2 month old is going on 14 lbs and these mittens fit wonderfully. I have to say mittens are the best way to protect a new babies face from all the exploration they do with their hands! While these mittens are good, in that they are soft, fit well and the elastic is not too tight, I ended up not using the much at all. I only use it at times when my little ones finger nails have over grown( and I haven't had the opportunity to clip them). They say mittens are not good for the development of the baby as they learn a lot through touch, so I avoid putting these on my baby much. I am rating this product 5stars because as such I think the product is not bad at all! These are great mitts. My baby is 3 months old and I think we'll still get quite a bit of use out of them, but he is a small baby, in the 5th percentile. We try to keep up with trimming his little nails, but they always seem to have rough edges. These also keep his hands a little warmer during naps, we generally keep our house pretty cold. WIsh they came in cuter patterns, these are just OK. But he doesn't wear them during wake/play-time anyways.